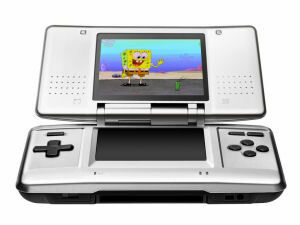 Caimans Video Codec is the leading technology for high quality video integration in Nintendo DS Games. Based on the successful Caimans Video Codec for Gameboy advance, this version takes advantage of the improved features of the new nintendo handheld and delivers even more quality. With its simple API the Caimans Codec Pro 2.0 allows the programmer to implement interfaces with fine control on the video stream. Less then 10Kbytes/sec are enough for Caimans Codec Pro to deliver good audio/video quality, allowing for full movies to fit into a 512mbit NDS cart. While 20-25 kbytes/sec are enough to obtain quality indistinguishable from the original uncompressed footage.